Today is Hester’s birthday although not such a scale of celebrations as the other week! I caught up with her later in the day as she had been working and she was really pleased with the book, chocolate and miniature botanical gins that I had sent her. I was a bit disappointed as her main present of a silver necklace has not yet arrived from the craftsperson in Spain so her birthday will stretch out a bit longer. 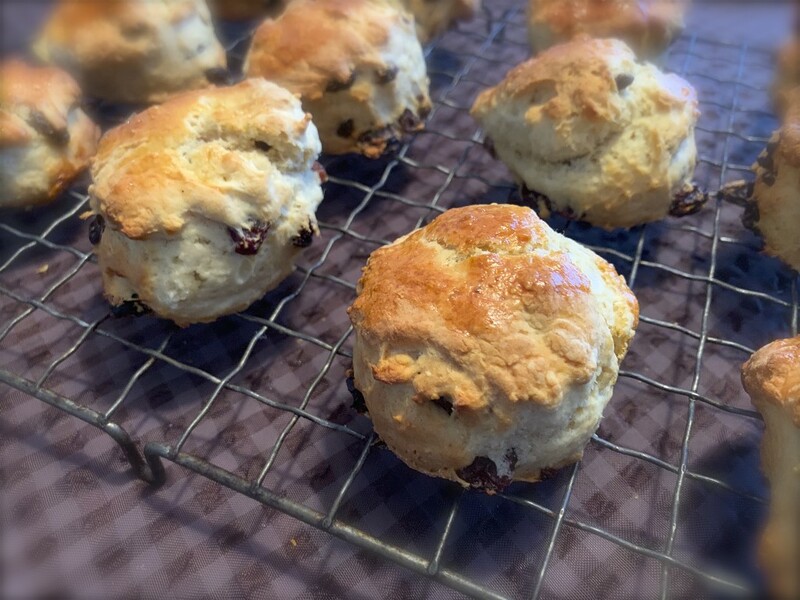 Colin celebrated by baking a batch of delicious scones (added vanilla essence really pepped them up). I took one down to my friend in the card shop to keep her going for the rest of the afternoon!